This magnificent horse from Friesland is one of the oldest horse breeds in Europe. 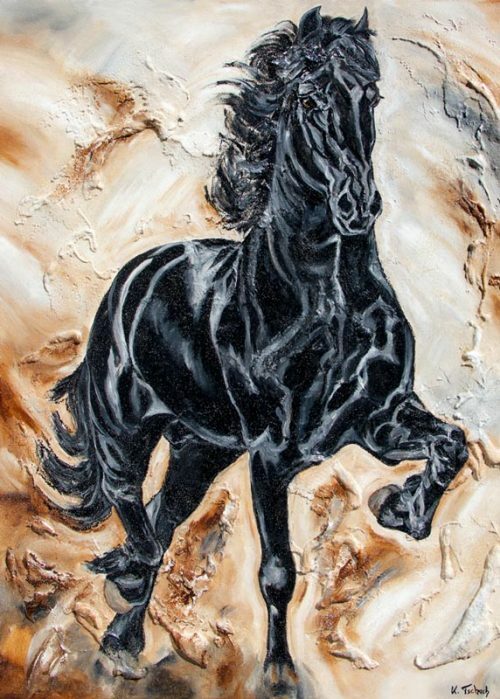 The pious character of the Friesian horses makes the dream of the black stallion in the stable easier to realize. Despite his temperament, the Frisian is very trustful and an honest philanthropist. 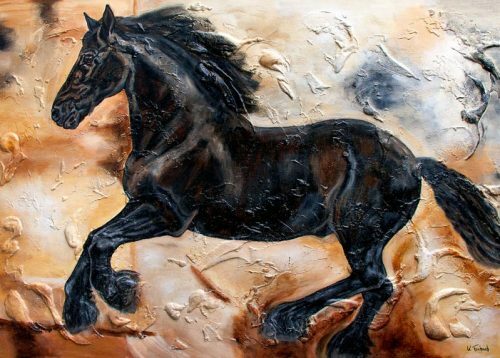 In the artistic compositions of Kerstin Tschech, the majestic charisma of the Friesian horse in the form of its muscular body and long mane comes to the fore. Furthermore, the characteristic coat hangings on the legs and his shiny coat are presented. 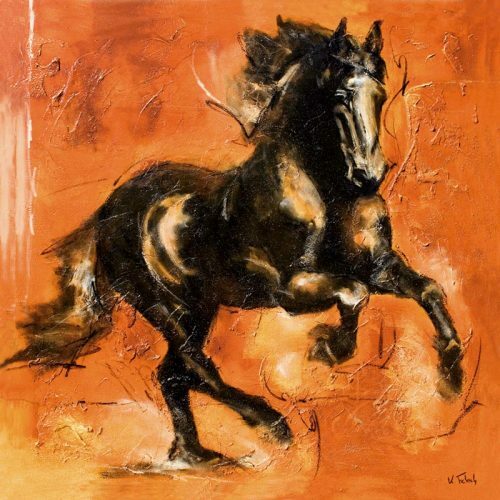 If you want to decorate your living rooms with such a special horse, it is advisable to choose a larger version of the horse art print in the form of a horse poster or a canvas in order to let all the splendour of this black dream take effect. This spectacular horse breed can be admired in different horse shows like the Appassionata. 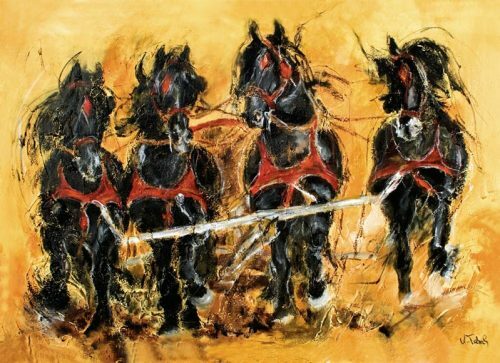 Be it as black stallions in front of a Roman carriage or as brilliant talents of circus lessons.